Around More London  people are behaving photographically in front of views of City Hall/Tower Bridge. One man  is in the artistic-behaviour-photographer mode, photographing objects close-up, including a bronze sculptural-relief-model-map of the area, complete with rough hewn bronze models of City Hall and Tower Bridge, River Thames, More London... upon which someone has placed a small pair of children’s spectacles with pink frames. I, of course, am in observational-note-taking-behaviour mode, scratching in my notebook, music on headphones . Taking a walk on the way home with my bag of shopping [1a]. The man is dressed in black leather jacket, black jeans, he is olive skinned with dark hair and unshaven, he looks intense, a determined expression. [1a] One organic white tin loaf from Flour Power City bakery; 500g of Balmaadi Estate coffee, ground for cafetiere from Monmouth Coffee; a chunk of Keen’s Cheddar cheese from Neal’s Yard Dairy; two bottles Marqués de Cáceres 2007 Rioja Rosé (£2 off when you buy two bottles from Majestic Wines). This video reworks photographs, super 8 film, sound and anecdotal text from a series of bush and outback locations across Australia during the 1990s. It takes the form of extracts from an imagined first person journal, layered over extruded experiments with composition and movement constructing a synthetic shifting landscape. Moving through discrete but related sections, the abstracted view shifts vertically through 90 degrees between the closeness of the local, the ground, and the claustrophobia of the distant colonizing horizon. 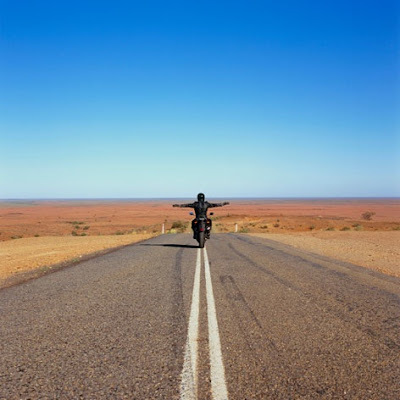 As it travels east from the South Australian desert, through bush, tablelands and rocky range, the video becomes a subjective essayistic meditation, in absentia, on being in the landscape, the problem of attempting to reproduce these landscapes and the uncertainty of their representation. At its inconclusion we arrive on K'gari (Fraser Island off the coast of Queensland) where we reach the edge of the known world, a space being made in an open future. to erect scaffolding around the adjacent block. but not quite a shell. spent six years erecting a building in Paris. that objects offer to language. of phenomena of the everyday sublime.